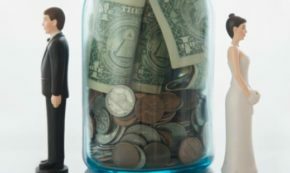 How do you and your spouse talk about money? They’ve paid off $25,000 in debt with only one income. They answered these questions. Bryan Reeves learned the hard way that money can’t buy harmony with a woman’s heart. Over 180,000 in debt to the IRS, and separated from his wife, this man had lost all hope. After a good cry he determined to turn his business, and marriage around. I was asked to sign the Terms of Surrender without being given the full story of custody and child support. So wait, now I’m a deadbeat dad? In what way was I trying to skip out on my child support? Is it fair for me to have shelter as well? Is there any consideration about where Dad will live with the kids when he has them?